Robert has an average height and weight for an individual his age. His hair is red and spiky, and goes a little lower than his ears. His bangs are pushed slightly to the left, with some strands of hair falling in front of his left eye. His eyes are bright blue. He has a fair muscle build. There are no visible scars on his body. Robert is usually seen wearing a khaki single-breasted suit with a step lapel. A golden, one-winged eagle symbol is embroidered onto the right lapel. 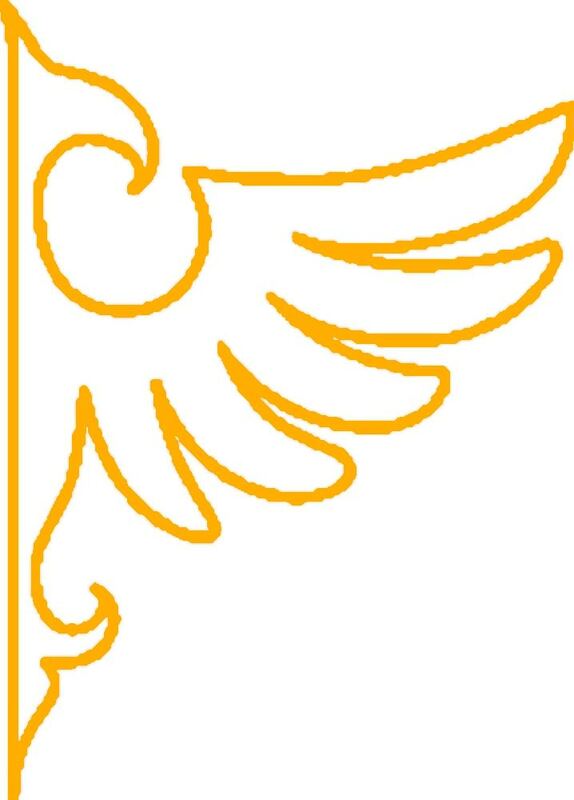 This symbol is the Alberti family crest. You won’t be seeing him in much of anything else, it’s just the way he was raised. When at school he wears the normal school uniform. He wears a black dress shirt with a blue trim, and one cross on each side of his collar. He has a strap that crosses He normally wears black socks and sneakers to school. He does put a pin of the one-winged eagle symbol on his right collar. When Robert Character changes, small silver earrings appear on his ears. Robert’s character transformation, called Master Detective, changes his appearance a bit. Robert’s hairstyle changes from a spiked style to a more shaggy style, like Kurt’s. His suit is replaced by long brown pants and a grey shirt, covered by a grey fur coat. Although Robert was born to a family of rich snobs, Robert turned out differently. This is mainly because he was raised by a nanny rather than his parents. From his nanny Robert picked up kindness and empathy. As a result Robert is very kind, though he generally keeps to himself. He won't hesitate to help someone if they ask. He will show kindness to everyone, regardless of who they are. It's not that hard to become his friend, usually all you have to do is earn his trust. It's not difficult to earn his trust as long as Robert doesn't have a reason to distrust you. Owing to his reading of a lot of detective fiction, and his dream to become a detective, Robert has a strong sense of justice. He knows, or at least thinks he knows, right from wrong. He also won't hesitate to stand up for what he considers to be right. Also owing to his reading of detective fiction, Robert is also very intuitant and observant. He will notice things that other people would normally ignore and he has made a habit of paying attention to even the smallest of details that he can find. Robert is also very determined, and his determination is one that only a few other things can stop. In general when he decides to do something, he will do it, regardless of what anyone else says. He will try many, many times and go through many, many failures before he gives up on something. But of course, nobody's perfect. Sometimes Robert's aforementioned kindness can be taken to levels that hurt Robert. He is willing to sacrifice himself for the sake of others, mainly due to the fact that he recognizes that he has lived a life that is (with the exception of a select few events) so much more fortunate than that of other people. Robert can also be impatient at times. He doesn't like to just sit and wait even though he knows that sometimes you need to just sit and wait. Patience is just something that Robert never had, and this sometimes causes him trouble. Another thing that causes Robert trouble is his curiosity. For those of you sick-minded folks out there, Robert is no pervert. That said, Robert's curiosity can get him into some sticky situations that is hard to get out of. He also sometimes pisses people off by sicking his nose into places where he shouldn't. Finally, Robert is extremely stubborn. Part of the reason why Robert's detemination is so great is because Robert is also extremely stubborn. When he decides on something you will have a very hard time changing his mind. Though Robert tries to keep an open mind, Robert finds that his stubbornness is sometimes an obstacle to that. Robert was born to a Japanese-Italian family living in Munich, Germany. His Father was born in Munich and his mother was born in Tokyo. They were extremely wealthy as Robert's grandfather founded what became a multi-million dollar corporation in Munich after the end of the Second World War. His father had taken over as CEO while his mother worked for the Easter branch in Germany. His parents, aunts and uncles were, put simply, jerks. All they cared about was money, and they’d do anything to get it. Robert didn't turn out this way though, and this was because he was raised by a nanny. From his nanny he picked up traits such as kindness and empathy. He wanted to help those less fortunate than him, and protect those that he could. When Robert was 3, his younger sister Sophia was born. It wasn’t long after that when Robert began to loathe his parents, aunts and uncles. His parents, aunts and uncles had a fight over the vast amount of money his grandfather left behind. The yelling kept Robert and Sophia up all night. Since before that time Robert's parents were selfish, greedy, and the stereotypical rich snobs and events like this weren't uncommon, but that was the last straw for Robert. In the years that followed, Robert's life outside of home went fairly well. He and his sister both took an interest in reading, and read so much that they both gained a vast amount of knowledge. Robert was particularly interested in mystery novels and detective fiction, and because of this his dream for the future was to become a detective, someone who stops criminals and protects the innocent. Sophia took on from Robert and began caring about others, and often got into arguments with their parents. The two did extremely well academically and became good friends along with another person heavily interested in mystery novels, Maria Benussi. The three of them quickly became close friends since they had a few things in common: all of them were rich, both of them had strict parents. The three of them often tried to solve mysteries together, and in doing so Robert earned his alias the "Red-head Detective". Then, 7 years after the argument between his parents, uncles and aunts, Sophia got into a big fight with their parents. It wasn’t anything unusual, but the next day Sophia was gone. No notes, no goodbyes, just one day she was there and the next, she was gone. Robert searched for her, but to no avail, and grudgingly asked his parents if they knew anything about it. They claimed they didn’t know, but they didn’t show any surprise to the news at all. As a matter of fact, they didn’t react to the news at all. No worry, no concern, no sign of them being upset, heck they weren't even angry. Robert knew that his parents knew something they weren’t telling him, so he and Maria went searching for Sophia. They didn’t find Sophia, but found evidence to suggest that she had been taken to Easter. Over the next few years, Robert and Maria continued their search for Sophia. They also met 6 others who also had been wronged by Easter, and when Robert was 13, Robert, Maria and the 6 others decided to work together in their investigations against Easter. It was during these years that Robert’s desire to protect and help others was the strongest, but Robert felt helpless as all they found was dead ends. One night Robert wished he had the strength to help others, and when he woke up he was surprised. There was an egg in his bed! He panicked, and tried to hide the egg from his friends when they came over for the “meeting” that day. During the meeting, his Shugo Chara was born. Robert was confused at this development, but his friends managed to calm him. As a matter of fact, they had Shugo Chara’s too! They explained how Easter made X-Eggs in their town, for reasons unknown to them, and that Easter had done everything that was done to them in order to help achieve whatever Easter’s goal was. Robert, shocked at what Easter was doing, proposed something that none of the others in the group had thought of before. He proposed that they form a team, in order to fight against Easter. They would continue to help each other in their “investigations” into Easter, but they would actively attempt to stop Easter from achieving their goal and protect others from Easter’s hands. While they had all agreed to help each other figure out what Easter was up to, until then each one of them was handling Easter differently. No one objected to this proposal, and their team was created. They called themselves the “White Rose” (German: Weiße Rose) and Robert took the role of “King”, Maria took the role of “Bishop”, and others took various other roles all taken from the original set of cards from the card game “Citadels”, a move proposed by a French-German member of the group that was agreed on by everyone. They even bought some badges from a local store to symbolize their solidarity. After that, they fought against Easter in Munich. Together they all made sure that Easters activities were limited. The group hated it when they were forced to break an X-Egg, because they were fighting supposedly to stop Easter but each time they broke a X-Egg it made them feel like Easter was winning. They found it difficult to fight against Easter with only Character Changes, and even more difficult to fight against X-Eggs with only Character Changes. But this changed when Robert was 15, when White Rose found themselves fighting against multiple X-Eggs. Robert and the rest of White Rose were about to be defeated, but in the nick of time Robert achieved his first Character Transformation. Using his new-found strength, Robert was able to fight off the X-Eggs and save the group from the brink of destruction. After this, the other members of the group gained their Character Transformation. By the time Robert was 17, they all had Character transformations. But alas, all good things must come to an end. When Robert was 17, his mom accepted promotion that involved a transfer from Easter Germany to Easter Headquarters in Japan. Robert’s fathers company, which by that time had been the red for years, went bankrupt and was bought out by Easter as part of a bankruptcy agreement. Though most of the companies high-ranking employees were retained in the newly-subsidized company, Robert's father was one of a very few number of people that were transferred, and the only one transferred to Easter headquarters in Japan. While this was concealed publicly, what actually happened was that Easter had realized that Robert was acting as the leader of the group, and decided to see how true the saying “cut the head off and the body will die” was. They weren’t quite prepared to blackmail Robert into supporting them yet, as they wanted to deal with the rest of White Rose before they did that. So instead they took advantage of the fact that Robert's fathers company was in the red and the fact that Robert's mother worked for them. After a tearful separation from his friends he left Munich for the unnamed town Shugo Chara is based in. His parents had bought a mansion there and Robert was enrolled in the local high school. Robert hated the situation he was in, but decided to continue to fight against Easter in any way he could. Kurt has silver hair and blue eyes. He wears a grey long-sleave shirt with a dark-grey coat. He wears brown shoes and brown jeans with a brown belt. He has silver piercings on both his ears. Kurt is very outgoing, and you usually will find that he is a very friendly face. He is calm, collected, and has a great sense of logic. You’ll find that he can at times ignore his emotions in order to use his thinking skills to analyze a situation. He can notice the smallest of details and make accurate deductions from them. He is also very kind, and won't hesitate to help others out whenever possible. Abilities: When character changed Robert becomes extremely skilled at German ju-jitsu. Personality: When character changed Robert becomes a more outgoing person. Robert becomes a master at German ju-jitsu. His athletic abilities also go up in this form, giving him enhanced speed and strength. Weapons: Robert can summon a unique style of handcuff's unique to Robert. It is a handcuff attached to a long cord. It can be used by Robert to catch his foes by either tangling them in the wires or by having them get caught in the handcuffs. Tazer: Can only be used when Robert has caught someone/something in his handcuffs. A small electrical current travels from Robert, through the cord, and to whoever/whatever is caught in it, temporarily immobilizing X-Eggs and just weakening others. Barricade: A defensive ability, it allows Robert to create a force field in a circular shape in front of his hand. This can block attacks coming from the front, but leaves the back and both the left and right sides vulnerable attack. It also it not the best against sustained attacks, and will break after a while. Appearace In Guardian Character's Form: Robert’s hairstyle changes from a spiked style to a more shaggy style, like Kurt’s. His suit is replaced by long brown pants and a grey shirt, covered by a grey fur coat. Transformation's Personality: Calm, collected, and logical thinking. Though his emotions are still there, Robert becomes a lot better at ignoring them in order to make logical decisions and draw logical conclusions. Extra: I am fully aware that "enhanced strength and speed" still means I can't metagame. When I put that in the character transformation area I mean he's stronger and faster than the average human, not uber powerful. I also hope it's alright that I'm bringing this character over from a different Shugo Chara RP site I RP'd on that is, well, dead. He was my character on the other site too so I think it's alright but hey you never know. EDIT: EEK! Apparently I was half-asleep when editing my original post and accidentally hit "quote" instead of "edit" and didn't realize it until now. Sorry about that guys! Wow, this bio is really super good! So much more descriptive than anything I do. XD Seriously, I'm super impressed. That said, this character is approved! In his history, it says that he has the ability to Character Transform, but you'll have to buy that ability in the store with points (which are explained here if you need it). You can keep it in his description, but you won't be able to use the ability yet. And about the whole "enhanced speed and strength" thing, I completely understand. I have a character whose transformation gives them enhanced speed and strength, too, so don't worry about it. c: Pretty much all of the transformations in Shugo Chara have at least enhanced speed, so strength is just a little bonus. And yes, it's fine that this character is from another site. 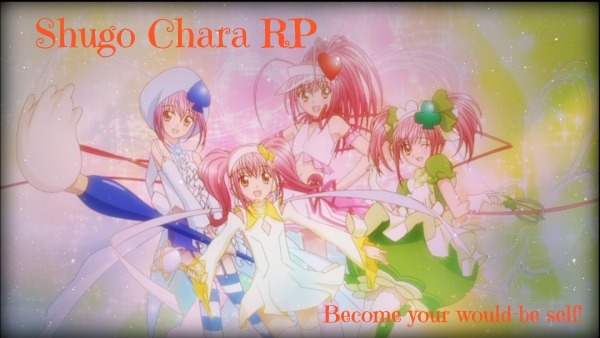 The reason I made this site was because I couldn't find any active Shugo Chara RPs, and I was sure there would be other people looking for one as well. It's also quite funny that your character has the dream of becoming a detective because I have a character on here with a very similar dream! XD Her dream is simply to become more like a detective (Sherlock Holmes, to be exact), and her dream spawned from reading a lot. I have a feeling they would get along pretty well!